With increased production requirements the process rinse water and waste water treatment system were in need of additional capacity and redundancy. The existing PLC and motor control capability was at maximum capacity. In order to meet the requirements of the new system and maintain minimum installation downtime, a new main control panel was designed and fabricated. 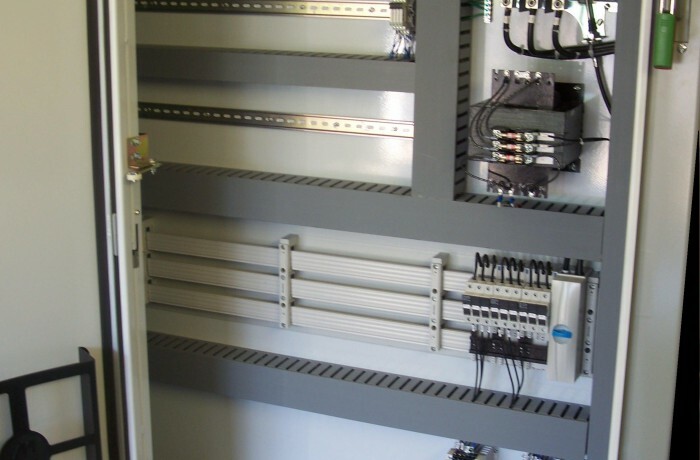 The panel was designed to house the new PLC, a module motor starter bus system and variable frequency drives for flow rate control of various pumps. In order to communicate to the existing devices distributed Ethernet based I/O was installed in remote control panels. The existing graphical operator interface was modified for the system expansion. Our scope included providing the process control design, software and graphics development, custom manufactured control panel and engineering support during the transition to the new system. An Ethernet connection is also in place for off site support.